FINEST PRODUCTS. CERTIFIED INSTALLERS. LIFETIME WARRANTY. Looking to replace your windows? How about your doors, siding, gutters or roof? At Energy Efficient Replacements, we're proud to provide top quality products, expert installation and superior customer service. We're focused on improving the efficiency of your home - helping the environment and saving you money on utility costs. Choose from a selection of top quality windows including double hung, bow, casement, bow, sliding or picture. Protect your home from the element sand improve thermal comfort with an energy efficient entry or patio door. Enjoy the low-maintenance properties of vinyl with the beautiful appearance of natural wood. Our roofing mimics the natural beauty of cedar shake, but with the durability and strength of laminate. Each seamless gutter is manufactured on site inside of our mobile box truck to custom fit to your home. 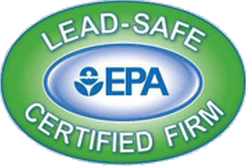 Energy Efficient Replacements has been proudly serving the northern Indiana and southern Michigan community since 2003. 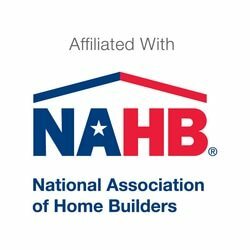 We’re proud to be locally owned and operated, providing a customized, customer-centered job with our owner on site for each project. We never want money to stand in the way of your home improvement project. 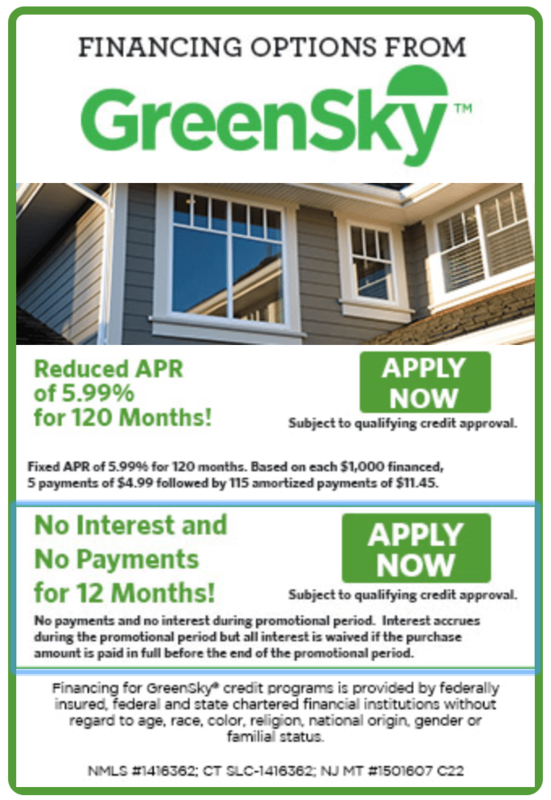 We proud to offer financing options from GreenSky including no payments, no interest for 12 months or a 10-year loan on your next project including: windows, doors, siding, roofing, gutters and more!